iWhite is a brand from Korea that has been around for years already. I always see it in drugstores which proves how well it was distributed in Manila. I remember using iWhite in my college days, one of iWhite representatives asked me to try their facial set. Yes gals they have their face care system before, in no particular order they have Pore Refining Coffee Sugar Polish (this one smells like strong coffee and you can never be sleepy if you put this on! ), Heating Pumpkin Enzyme Mask (it heats up your face and smells a bit sweet), Rose Petal Wine Mask (I don't like it because although its cold to the skin when applied it really does smell like wine!) and Seaweed Gel (was not able to get this one). The iWhite products I've just mentioned are already off the shelves. I don't know what happened, maybe it was phased out or something. 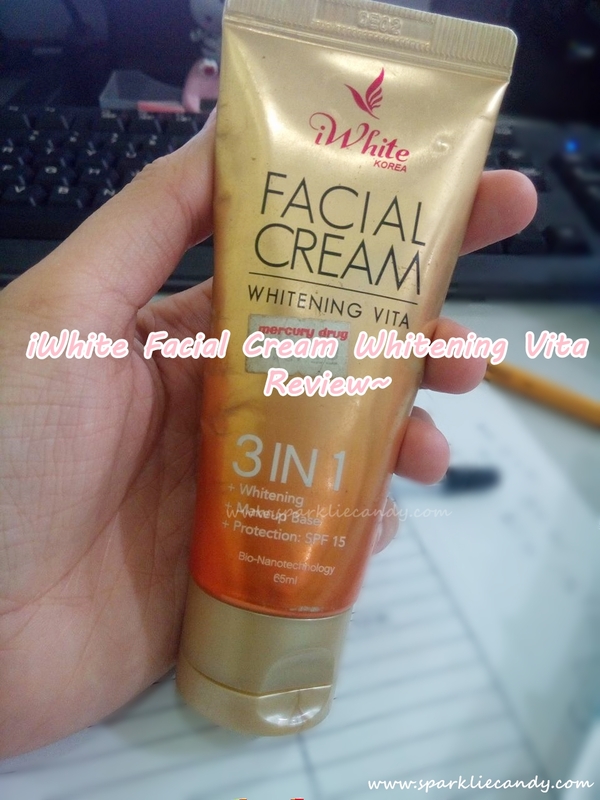 Anyway for today I would be reviewing iWhite Whitening Vita Facial Cream which I've bought months back. Iwhite Whitening Vita Facial Cream is an all around face cream with natural active ingredients that gives you three essential benefits for a complete day care protection. 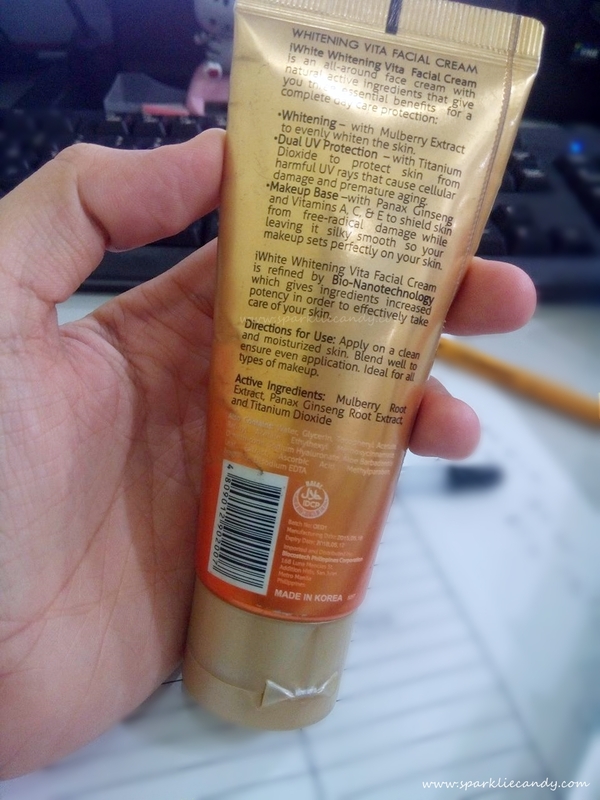 Its in a sturdy tube which dispenses the right amount of product and because the size is 'just right' I can say its travel friendly too. iWhite Whitening Vita Facial Cream boasts Bio-Nanotechnology which is said to give the ingredients increased potency. Only a pea size amount is needed to cover up the face. 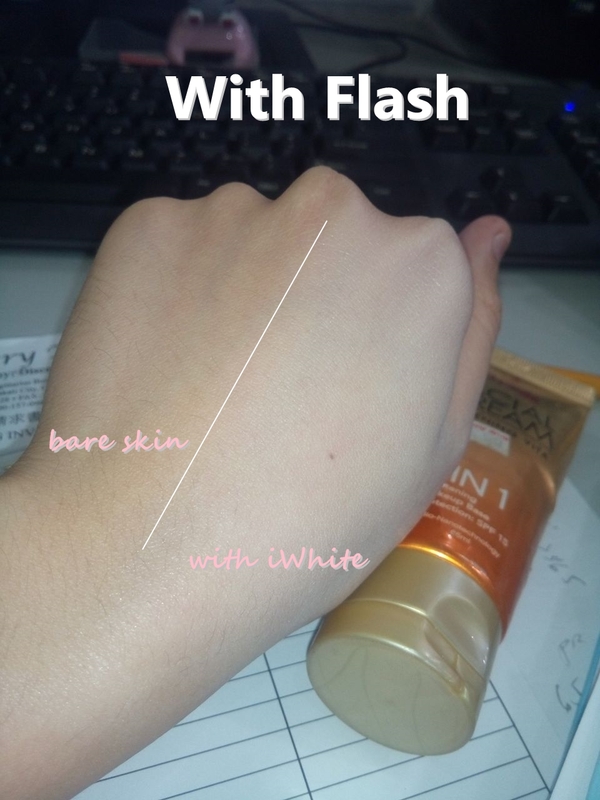 When I started applying the product I remembered iWhite Whitening Facial Mask. I immediately double checked on the tube if I was indeed using the face cream and not the mask. Hahaha. 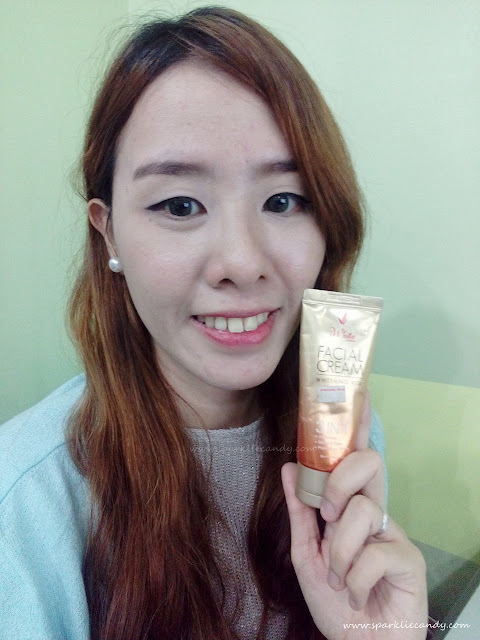 +Whitening - What I noticed is that my face looks radiant and fairer with just one application! It did not settle on my pores and it feels light as well. +Makeup Base - The cream is a bit sticky at first (imo) but spreads easily on bare skin without tugging. 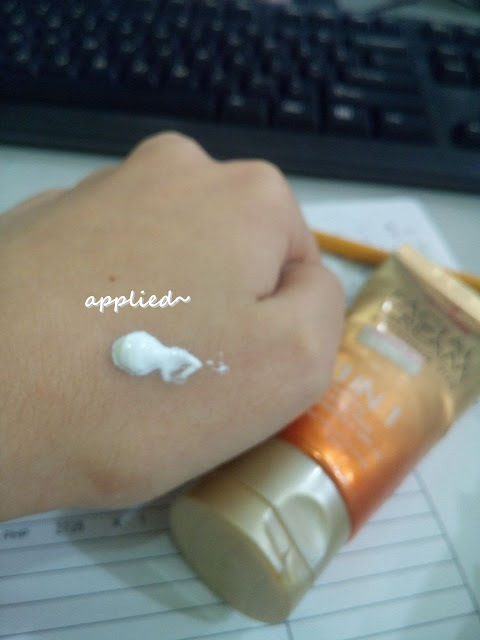 Upon applying I felt like its more watery than before. I wonder if they changed formula? 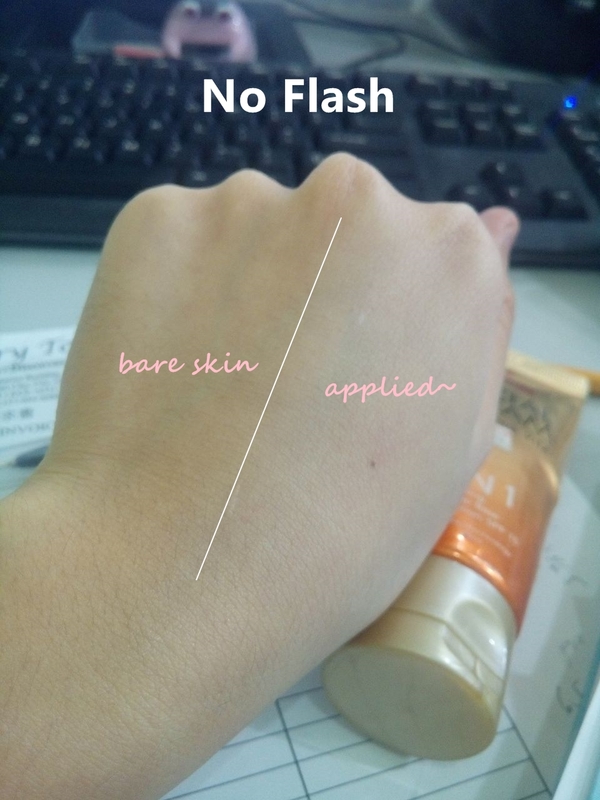 The finish is also velvety matte before, but now its more of glowy type of finish which can be similar to cc creams effect. I can use additional moisturizer underneath the cream with no problems. I wear iWhite everyday for more than a week already and I can attest that the cream won't feel hot or make your face perspire or oil more than usual. It's also non greasy. +Protection: SPF 15 - I used it as a makeup base/sunblock (but it only offer SPF15). I also applied powder on top and it looks nice.